Building a Better Web - One Site at a Time. 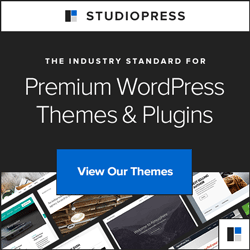 Should I update to the newest version of WordPress? 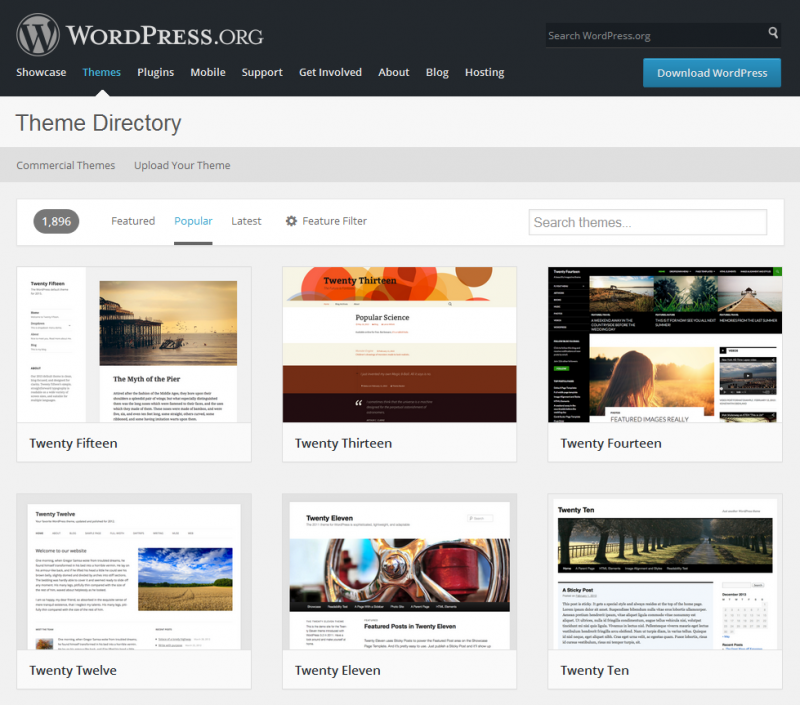 Should you update to the newest version of WordPress? WordPress 3.5 (representing a major release, succeeding Version 3.4.2) was released to the public a little over a week ago. And it offers some exceptional new goodies. But I still say: hold off on updating. 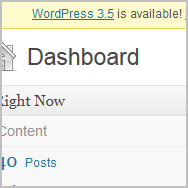 WordPress 3.5 is available! Please update now. Should you have updated? Should you update now if you haven’t yet? Like I said, probably not right away. Because first versions of software usually have bugs. Because your Web site might depend on the proper functioning of some plugin that worked fine pre-update but crashes post-update. So, unless you’re prepared to revert your WordPress Web site to its previous state in the event of an update-related crisis, I’d hold off. Don’t they test these things? Many WordPress developers I know have updated only one or two test sites to 3.5, leaving their production sites (and their clients’ production sites) on version 3.4.2. These are people who create WordPress plugins and WordPress custom themes for a living. They develop WordPress Web sites. They write books and tutorials about WordPress. These are people who didn’t simply click the “automatic update” button. Instead, they followed a painstaking procedure involving multiple backups. Did you employ the above — or some other responsible — procedure (such as the one recommended in the WordPress.org codex) prior to updating? Are you prepared to? 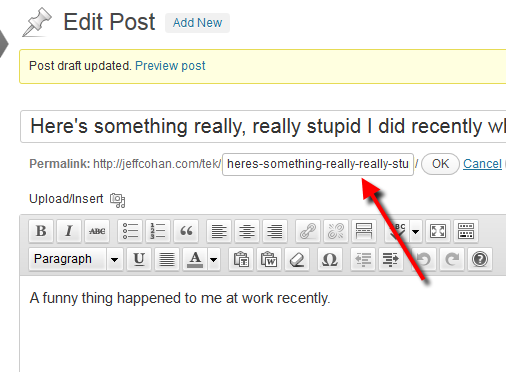 At this writing, I have updated only one WordPress Web site to 3.5: this one. I’m looking for plugin problems and have already found (and reported) some. I’m monitoring many WordPress-related discussion forums where I hear about others’ issues with WordPress 3.5. I’ll keep you posted. The article was pretty good. I'm not sorry I spent the time. The article was really good. I'm glad I spent the time. The article left me wanting more. Good thing I am slow to check the plugin update stuff. I look forward to hearing from you when it is o.k. And my guess is that will probably be shortly after 3.5.1 is released. Couldn’t agree more. The announcement of a new version tells me to put a follow-up item on my calendar for 90 days from now to see how the release is going. Considering the source (COO of a software development company), I’m honored by the endorsement! Subscribe to get notified when new articles are published. Unsubscribe any time. No spam. I promise. Check out my newsletter archives. Web Sites | WordPress Support | Web Applications. Formally trained in liberal arts and education (I have a B.A. in Government from Harvard and studied Secondary Education at Rutgers Graduate School), I have honed my skills in the communication arts and sciences as a teacher, trainer, instructional designer, writer, photographer, calligrapher, helpdesk manager, database programmer, and multimedia developer. Pardon the interruption. I know popups can be annoying. But I’d love to have you as a subscriber. Sign up to be notified when new articles are published. Unsubscribe any time.